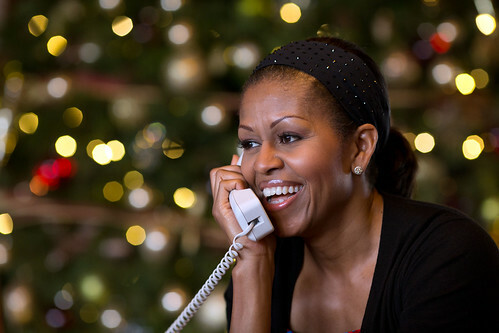 Original caption: "First Lady Michelle Obama reacts while talking on the phone to children across the country as part of the annual NORAD Tracks Santa program. Mrs. Obama answered the phone calls from Kailua, Hawaii, Christmas Eve". Since "Gangnam Style" is undoubtedly the youtube video & song of the year, here's the Pentatonix a capella version.